Hello writer. Do you want to write a novel? Then this challenge is just for you! Do you need some support and accountability to help you reach your writing goals? Do you want to join a community of awesome writers who will encourage and motivate you for 100 days (and beyond)? Then this 100-Day Novel Writing Challenge is exactly what you need! Hello writer. 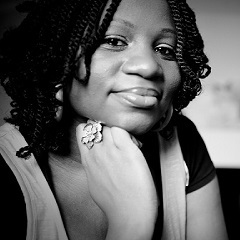 My name is Tolulope Popoola, and I’m an Author, Writing Coach and Publishing Consultant here @ Accomplish Press. I know what it’s like to struggle with writing a novel. When I first started writing in 2006, I made many mistakes until I got mentors and friends to help me with writing my own novels. And in my line of work, I come across many struggling writers and aspiring novelists, who have great ideas, but need something to help them break through the obstacles in their writing journey. Some of those obstacles are: feeling overwhelmed, writer’s block, procrastination, struggling with too many distractions, time constraints and battling self-doubt. You may even recognise some of these obstacles yourself. That is why I have created this 100-day Novel Writing Challenge to give you a boost in confidence, motivation and determination, so that you can finally achieve your dream of writing a novel! This 100-day challenge is designed for aspiring novelists. If you’ve always wanted to write a novel, and you’ve been thinking about it for a long time, then you should join us! The challenge will start on the 15th of March and run until the 23rd of June 2017. At the end of the challenge, writers who successfully complete their first draft will get a Bonus Coaching Session with me for 30 minutes (worth $150). The purpose of this session is to help you clarify your goals for novel, decide on the next steps forward, and help you keep the momentum going so that you can complete your final draft and publish your book if you want to. Once you sign up, you’ll also get access to a Facebook group where I interact with my clients on a regular basis. You can ask questions, post some of your work for feedback, and interact with a community of other writers who are working towards the same goals. Start that journey now. Take the decision. Your book will not materialise by thinking about it, wishing it, or dreaming it. You have to commit to it, and make it happen. Sign up for this challenge, and get the support and accountability that you need to get started today. So go on…. don’t procrastinate any longer. If you really want to write a novel this year, what better time to start than now? Sign up for the 100-day novel writing challenge, and make your novel writing dreams come true in 2017! Please send an email to novelwriting@accomplishpress.com if you have any questions that haven’t been addressed on this page. Thank you.